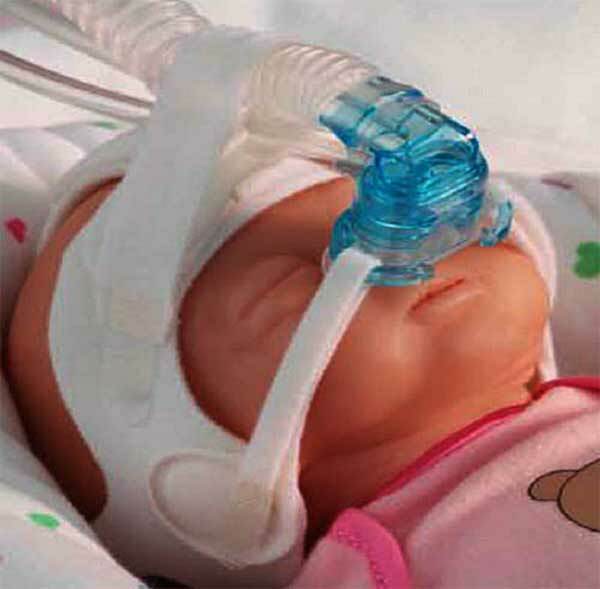 Flometrics designed a Nasal Continuous Positive Airway Pressure (NCPAP) device for Cardinal Health to help premature and sick infants breathe. The device keeps the baby’s lungs inflated as the inhale and exhale. It must keep a positive pressure in the lungs while allowing the baby to breathe easily, i.e the “work of breathing” must be minimized. The device must also be small and lightweight. The photo at right shows a prototype that we designed and built. 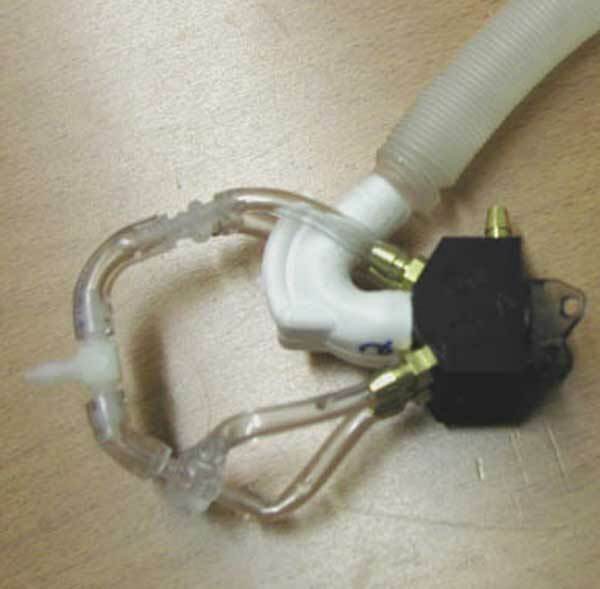 The device is based on the jet pump principle but it allows for the flow to be reversed with minimal flow resistance. The jet sizes, flow rates and pressures were determined analytically to meet the customer’s specifications. The prototype device worked as predicted. We used flow visualization with laser sheet light and fluorescent particles in water to determine the optimum placement of the jets and other features in the device. The flow visualization was conducted in water with the scale adjusted to match Reynolds number. In the image on the lower right, the two jets combine and help entrain air during the inhalation process. 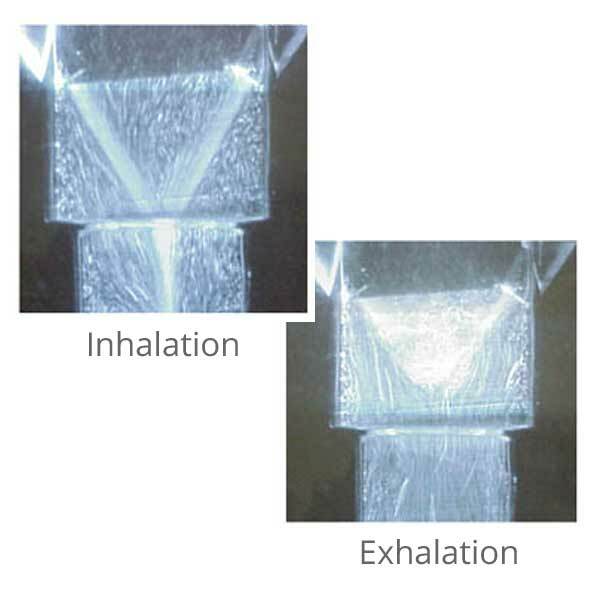 On the right, the exhaled air breaks up the flow pattern and allows the exhaled air to flow freely in the reverse direction. The pressure inside the patients lungs stays constant, regardless of the flow direction. We used a Labview based data acquisition system to make measurements of the pressure and flow during simulated breathing cycles. The data was used to optimize the design. Cardinal engineers took the fluid pathway that we developed and designed a device which is less harmful to the baby’s nose than competitor products.